This Holiday season, shop for loved ones who don’t need or want more "stuff." We have green ideas to add to your shopping list here at Turtle Bay Exploration Park! All proceeds support our ongoing educational and cultural programs and are tax-deductible. Give the gift that lasts ALL year long – New Gift Memberships at Turtle Bay are $15 off NOW through Christmas Eve! With all new features, play equipment and exhibits in Paul Bunyan’s Forest Camp and blockbuster exhibitions including Goose Bumps! The Science of Fear, you won’t want to miss 2019 at Turtle Bay! Honor loved ones with the gift of a personally engraved Turtle with a forever home on the River of Turtles. For a limited time only, receive an additional personally engraved Turtle to bring home and gift for the holidays! 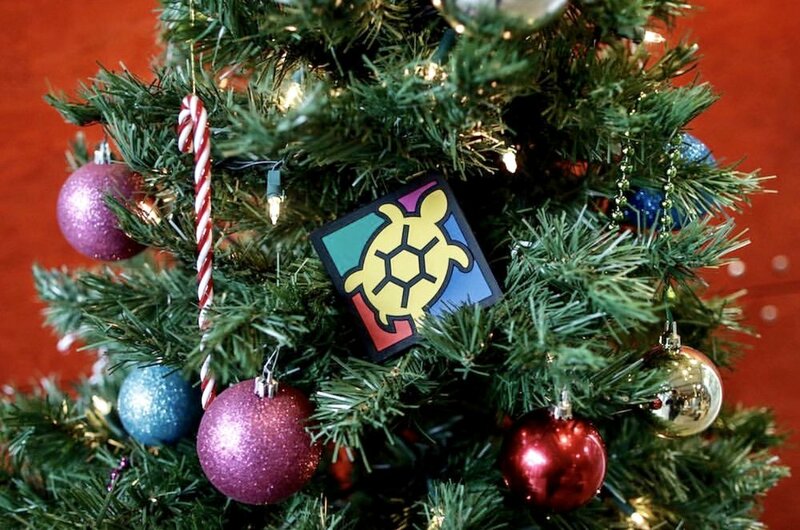 Order by December 13th to get your additional gift-giving Turtle and see yours installed before Christmas. Do you want to get the inside scoop, get a peek behind the curtain, get a Turtle's-eye view of the Park? We're now offering Behind the Scenes Tours! You can now experience Turtle Bay in a whole new way! Get a Behind the Scenes Tour with Timber, the beaver, at the Park - reserve your spot now!